As of this week, children aged under 16 in South Korea are barred from playing online games between midnight and 6:00 am. South Korea's government has long been worried about the prevalence of online gaming addiction in its tech-savvy country. Fearing the effects that high levels of addiction could have on its future (specifically, everyone failing school), the government passed a Shutdown Law in April this year which would ban all gamers aged under 16 from playing online games between midnight and 6:00 am. Earlier this week, the law went into effect. The Shutdown Law (also known as the "Cinderella Law") is the brainchild of the Ministry of Culture, Sports, and Tourism (MCST) and the Ministry of Gender Equality and Family (MGEF). Although it only covered MMORPGs when first drafted earlier this year, the law now prevents those aged under 16 from playing various forms of online game during the shutdown period (the PSN is already working to these new standards, and XBL has been given a two-month "grace period" to teach its system how to track users' ages). The law's passage has been met with furious opposition from South Korean gaming groups and civil rights advocates. 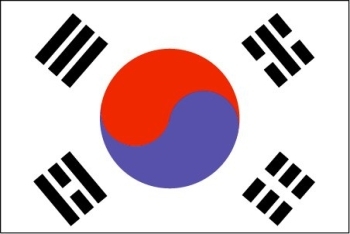 The Korea Association of Game Industry (KAOGI), an amalgam of 14 different games developers and publishers, has criticized the law for "excessive prohibition" focussed on one group and is reported to be preparing a lawsuit. Similarly, cultural solidarity group MoonHwaYunDae (MHYD) filed an appeal against the law to South Korea's Constitutional Court just over a month ago, but have heard little back. The obvious way to attempt to dodge this law - by which I mean the teenager illegally hijacking a parent's identity to play - has already been taken up by 5% of teenage gamers, claims South Korean gaming site ThisIsGame. To deal with this problem, the MGEF wants games companies to collect additional information from gamers, including social security numbers and phone numbers, to strengthen account identification systems. As TIG notes, this is "exactly the opposite of personal information protection law." The idea behind this law is that it'll push teenagers towards spending the wee hours sleeping rather than gaming, meaning that the government thinks twilight gaming poses so great a threat that parental control of power cables and ethernet wires isn't enough of a deterrent. While this law is offensive to the civil liberties of children, it is true that this group need sleep more than most; trying to judge whose responsibility the protection of that sleep-time is invokes a whole heap of ideological questions to which everyone will have a different answer. For now, though, the South Korean government's opinion is crystal clear.